With the motion picture Concussion already a topic of national conversation among NFL fans and commentators, Sony Pictures Entertainment is offering NFL players and their families free admission to the movie during the duration of the film's run, which begins on Christmas Day. The studio has engaged many current and former NFL players, holding private screenings in each team's city in advance of its opening. By reaching out to the people who are most impacted by the film's themes, the studio is engaging with the NFL players to join the national dialogue about the film. Ridley Scott and Producer Giannina Scott (who first brought the project to him and produced it with him), said, "This is a movie for the players, so we wanted to give them a chance to see it before its nationwide release and free admission during its run in theaters. The movie is so inspiring – Will Smith gives one of the best performances of his career as Dr. Bennet Omalu, a man who shined a light on the truth. The odds were stacked against him, but he had the truth on his side, and now, his discovery is all anyone's talking about. We think the players will enjoy watching this movie about Dr. Omalu's incredible courage – courage that changed the game." Players will receive complimentary admission for themselves and one guest by presenting their NFLPA membership card at any Cinemark theater nationwide. 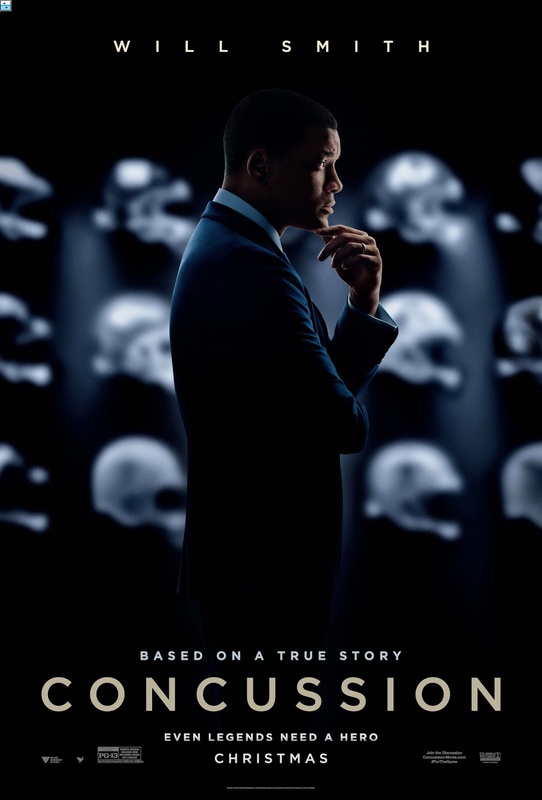 Will Smith stars in "Concussion," a dramatic thriller based on the incredible true David vs. Goliath story of American immigrant Dr. Bennet Omalu, the brilliant forensic neuropathologist who made the first discovery of CTE, a football-related brain trauma, in a pro player and fought for the truth to be known. The film, a Columbia Pictures presentation in association with LStar Capital and Village Roadshow Pictures, is written and directed by Peter Landesman, based on the GQ article "Game Brain" by Jeanne Marie Laskas, and produced by Ridley Scott, Giannina Scott, David Wolthoff, Larry Shuman and Elizabeth Cantillon, and executive produced by Michael Schaefer, David Crockett, Ben Waisbren, Bruce Berman and Greg Basser.